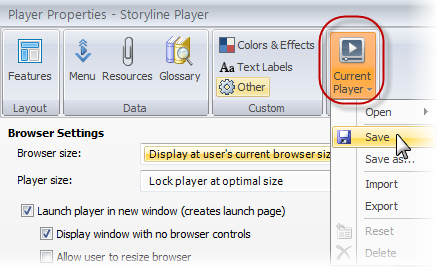 Click the Home tab on the Storyline ribbon, and then click Player. 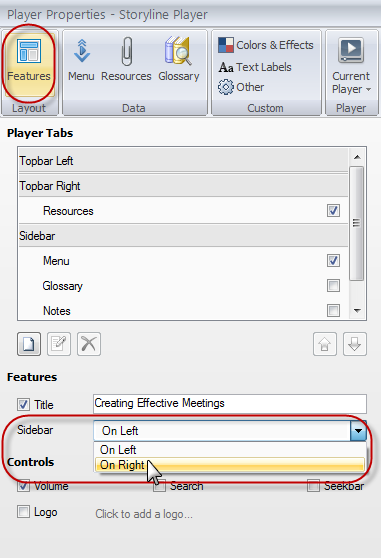 If your course player includes a sidebar where you display a menu, glossary, resources, or slide notes, you might also be interested to know that you can switch the sidebar's location so that it displays on the right side of your player instead of the left. 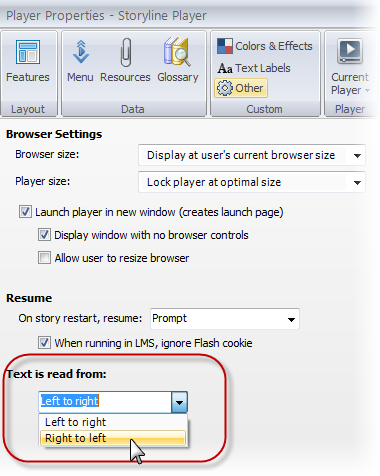 To make this change, click the Features button at the top of the Player Properties window and change the Sidebar selector to On Right.